Okay, so The Dig List is supposed to be made up of short reactions to stuff I read and watch. Sometimes I forget that. I do tend to run off at the mouth (or fingers) sometimes... just ask Erin. Anyway, I appreciate everyone suffering through all that text. Here's a picture of Joe Besser for your troubles. Joe Besser ruled. 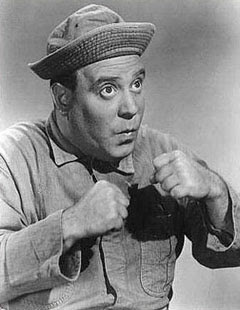 As I've stated before, some days are just Joe Besser days.